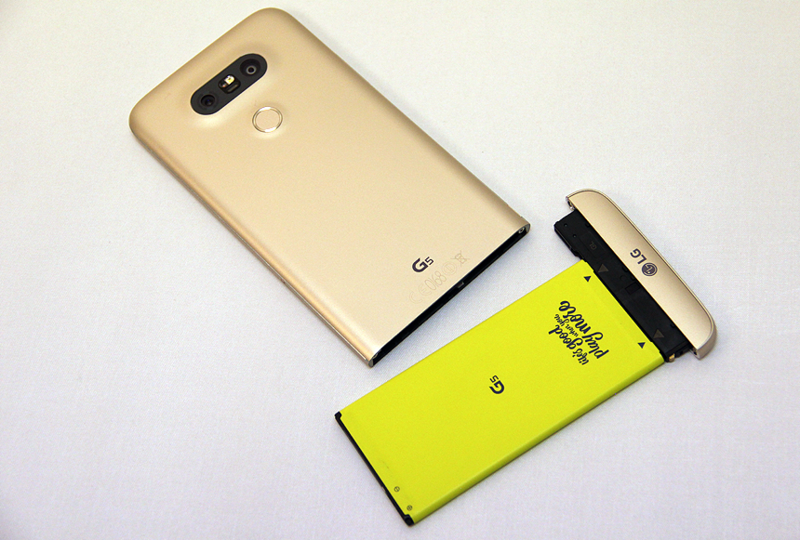 LG G5 next model after the LG G4. 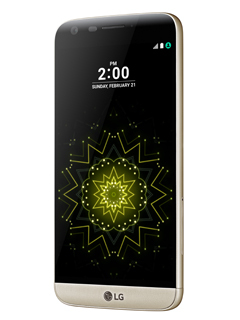 It has a modular design and metal body, and also the new Qualcomm Snapdragon 820 processor coupled with 4GB of RAM. The phone also has a removable battery is 2,800mAh, two rear cameras to take pictures with coverage of 135 degrees, as well as display Always-On, which uses only 0.8% of the energy from the battery per hour. At first glance, LG G5 is, something new in the flagship phones, and large but highly doubtful willingness of the buyer to purchase separate modules, etc. 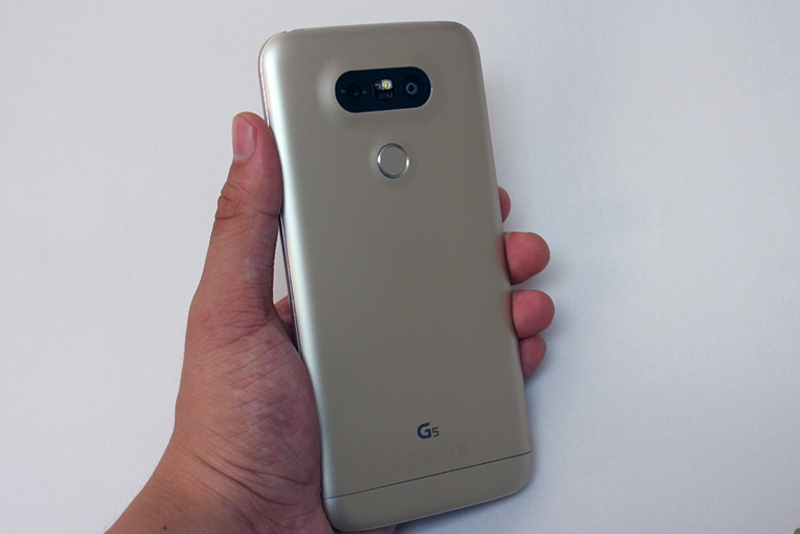 LG G5 looks like a premium phone – phone surface with metallic sheen, and its 5.3-inch display 3D Arc Glass looks attractive. Behind the elegant appearance and attracts with its beautiful smooth appearance. Nevertheless, the two rear cameras are horizontally with black panel around two camera modules seems slightly relevant. Button volume control located on the left as in most smartphones. 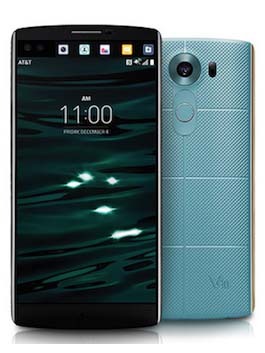 According to LG, the decision to move the volume control buttons to the left was taken because LG G5 modular design. 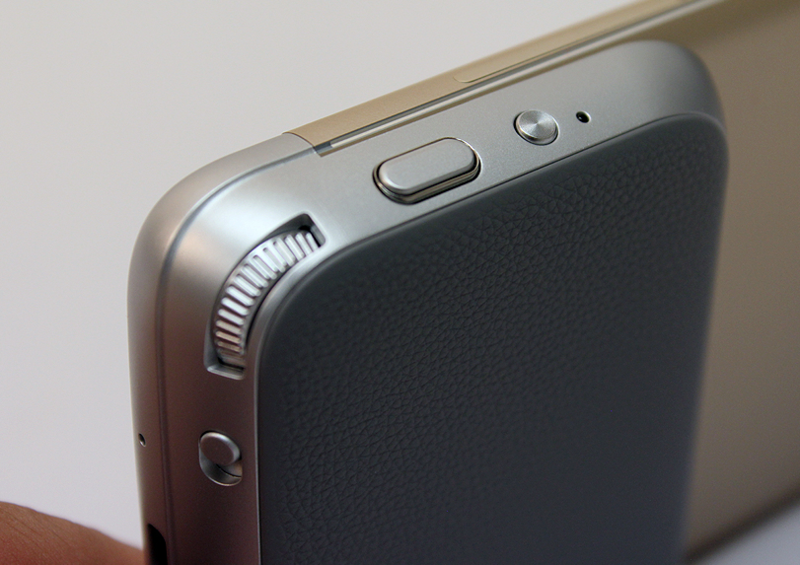 If the volume control buttons placed at the top, it will be created by pressing the additional pressure and possible impact on the removable battery. 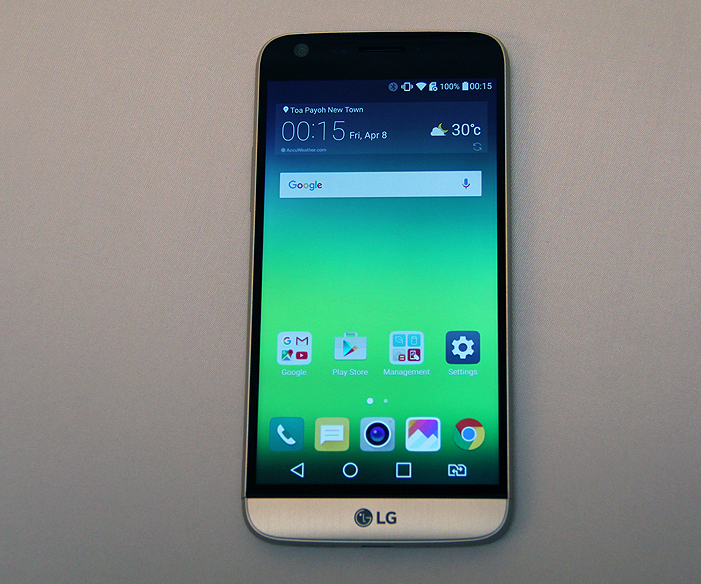 Materials used in the LG G5 was controversial long before its official retail sales. 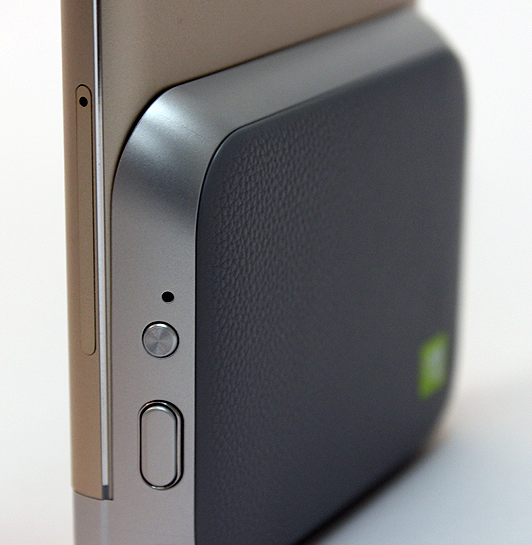 LG claims that the smartphone with a sleek aluminum case, integrated antenna. 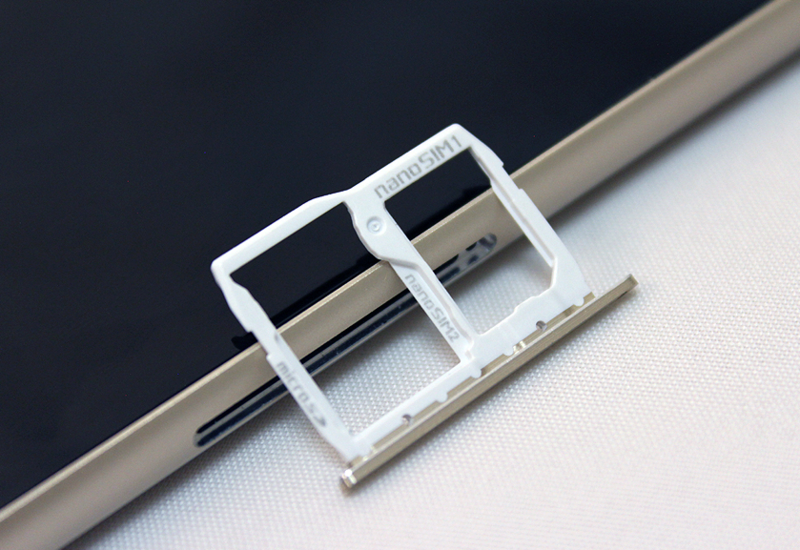 In the study found that the internal phone case really is made of aluminum, but the alloy is similar to plastic. 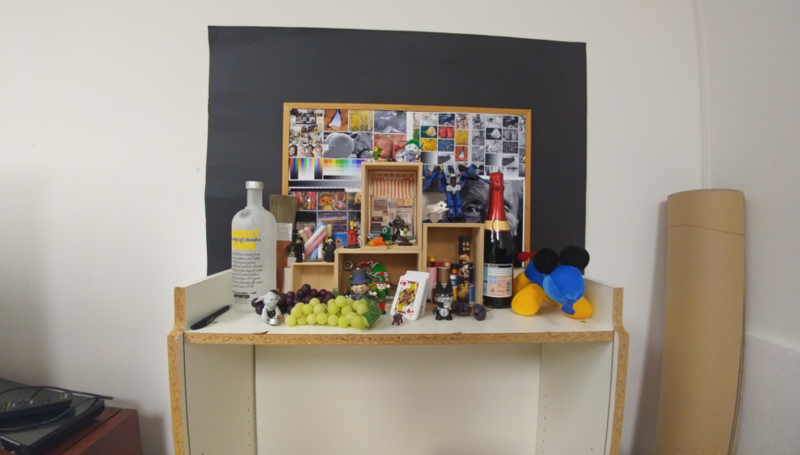 In response to questions, the LG has released an official statement explaining the materials used in housing G5 LG. The phone has applied its own aluminum alloy (called the LM201), the body is made of cast aluminum to create the shape and look of the phone. On LM201 be isolated antenna aluminum alloy casing which kleetsya to the aluminum body, followed by coating with a primer, which provides additional insulation and improves the profile surface “microdizing” process where a pigment containing fine metal particles is applied directly to the primer, to ensure smooth and durable finish. In the case of G5 gray primer under the pigment layer can be mistaken for plastic. 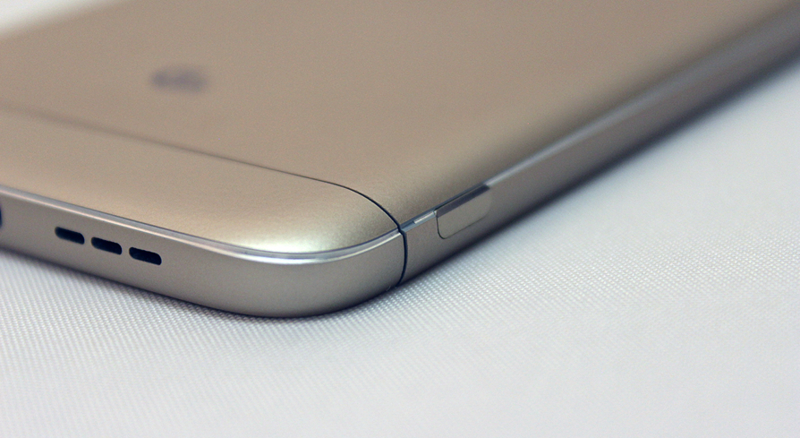 From a technical point of view it is really an all-metal G5. 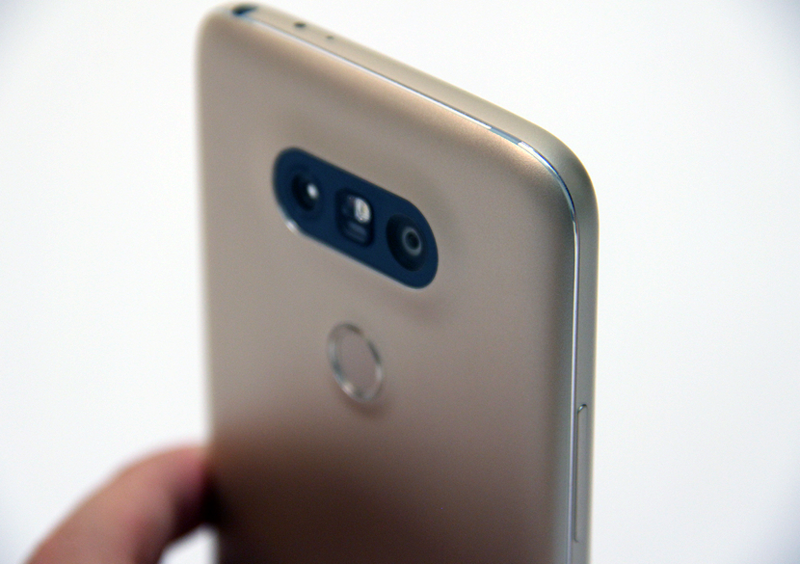 In a statement, LG does not say that you will touch the metal. Phone sits well in the hand in any position. 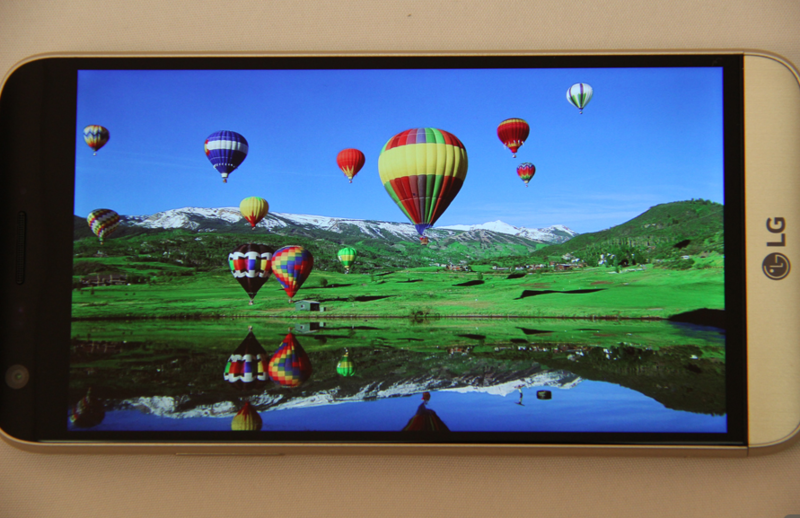 G5 uses 5.3-inch Quad HD IPS Quantum display (resolution of 2560 x 1440 pixels at 554ppi). The screen quality is good, and color G5 looks natural. 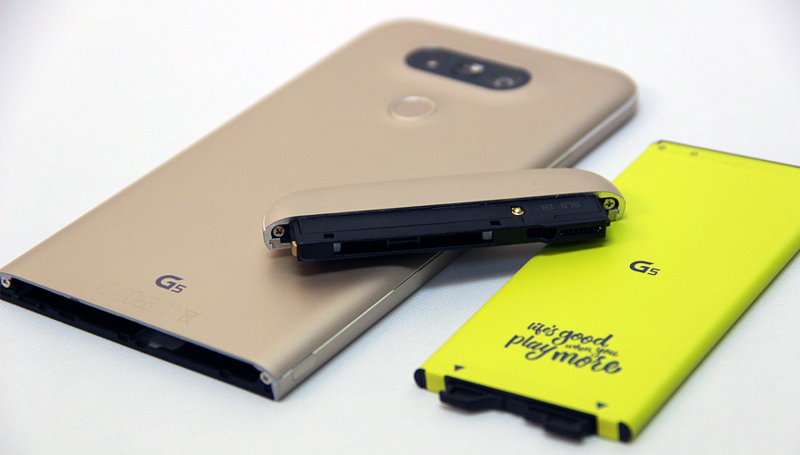 In addition, LG G5 is equipped with Qualcomm APTX HD, with advanced audio codec Qualcomm, which supports 24-bit audio via a Bluetooth connection. This unique audio codec has a higher bit rate than the traditional 16-bit codec. Although most users will not notice the difference between Audio 16 and 24 bits. 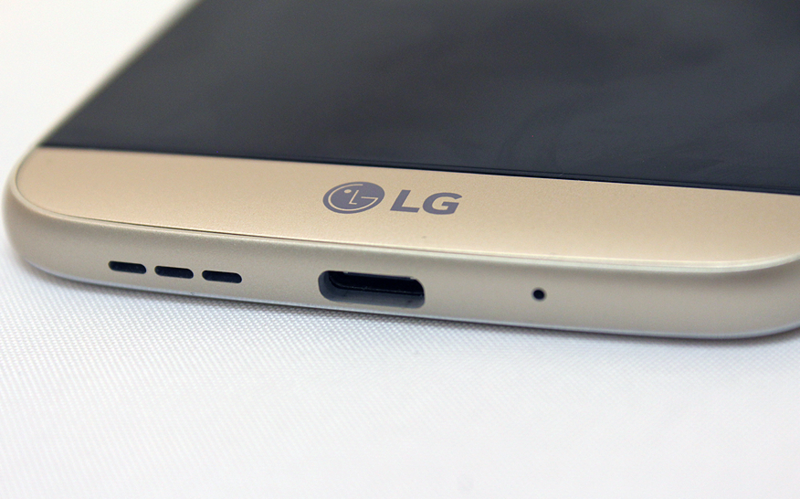 As for the built-in speakers, the LG G5 has quite normal speakers. 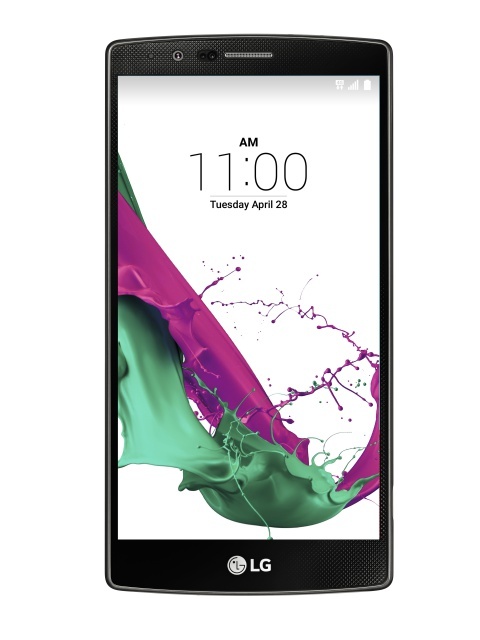 The highlight of the G5 LG is its modular design, which allows the user to change the battery modules and to achieve what the new features. 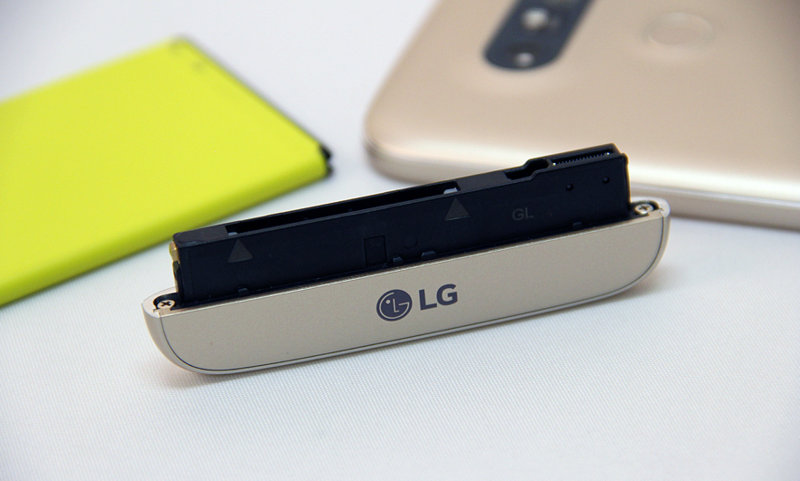 LG is one of the first companies that introduced a modular smartphone in retail. 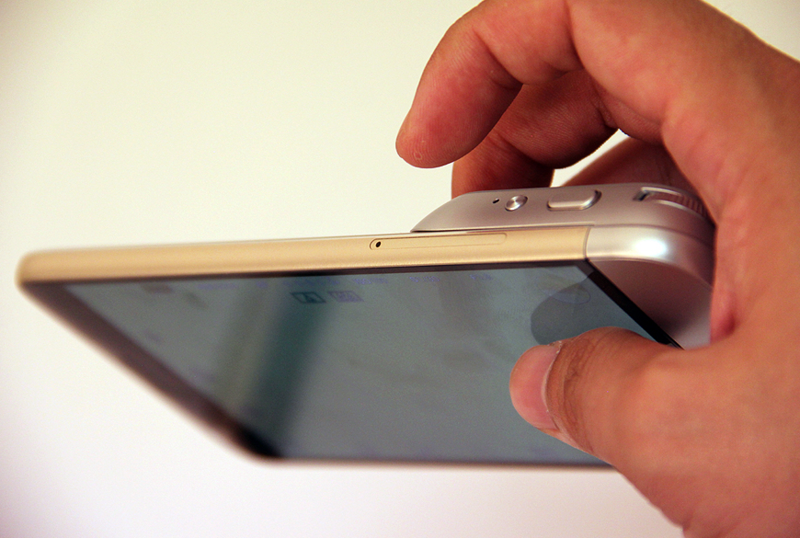 The removable bottom part of the phone can be opened by pressing the tab on the bottom left corner of the phone. For users who want something unique design G5 is certainly a new and promising. However, while there are only two expansion module. 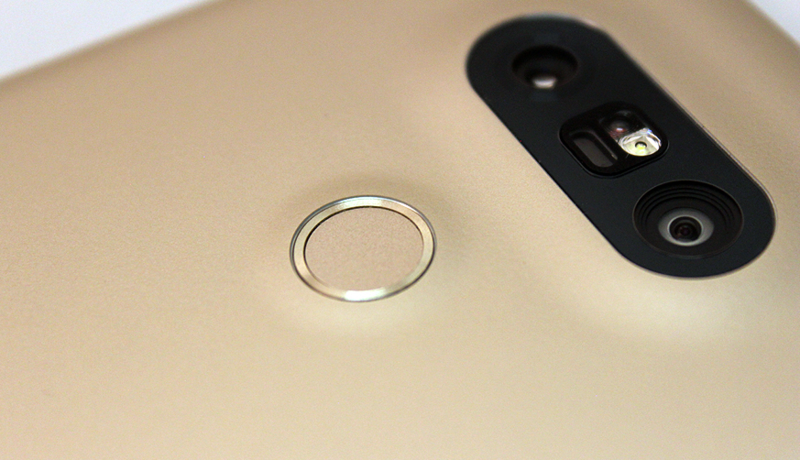 The first of the two available modules is LG Cam Plus (sold separately at S $ 158). This expansion module with your camera, when installing the phone turns into a camera with usual controls. 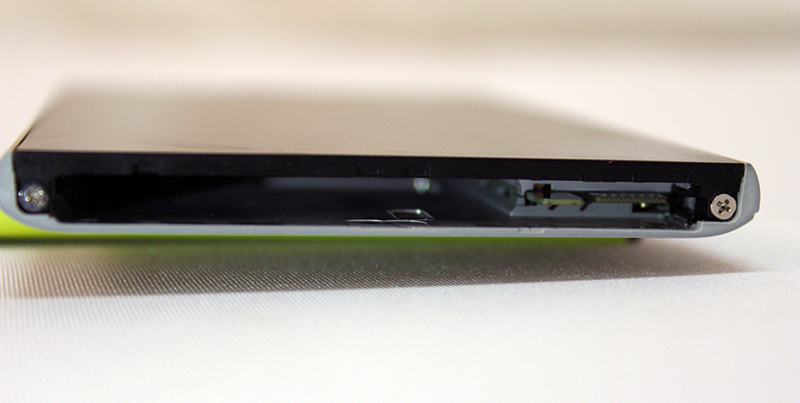 Also integrated in the module additional battery with 1200 mAh, which provides an opportunity to make more shots. 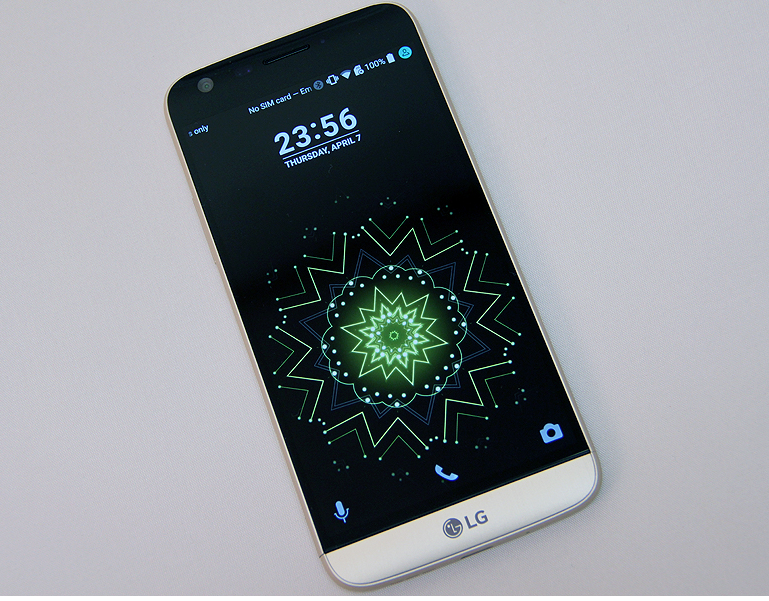 LG G5 uses Android 6.0, and a fresh interface LG UX 5.0. also retained the previous software modules and functions, such as KnockCode to ensure the safety of your phone, fingerprint sensor, and a fast and reliable way to unlock your device. 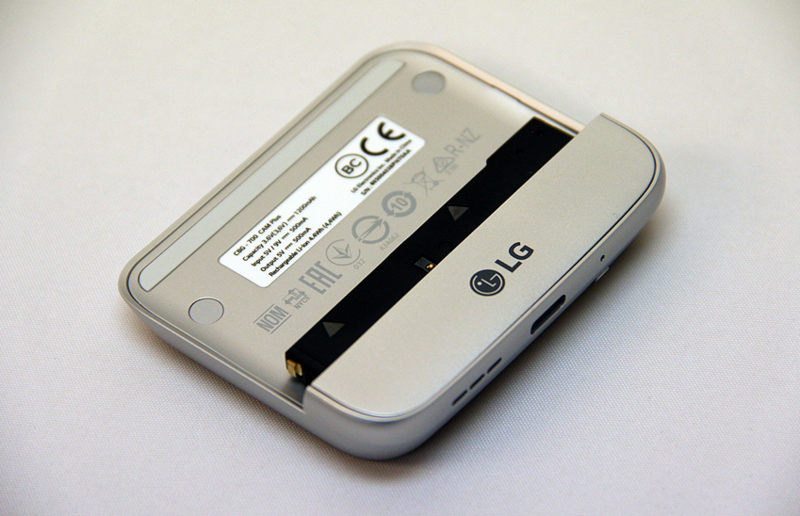 LG UX 5.0 includes new additions such as a file manager to access the contents of the phone via a directory tree, and LG FRIENDS MANAGER to connect to the attendant nearby devices. 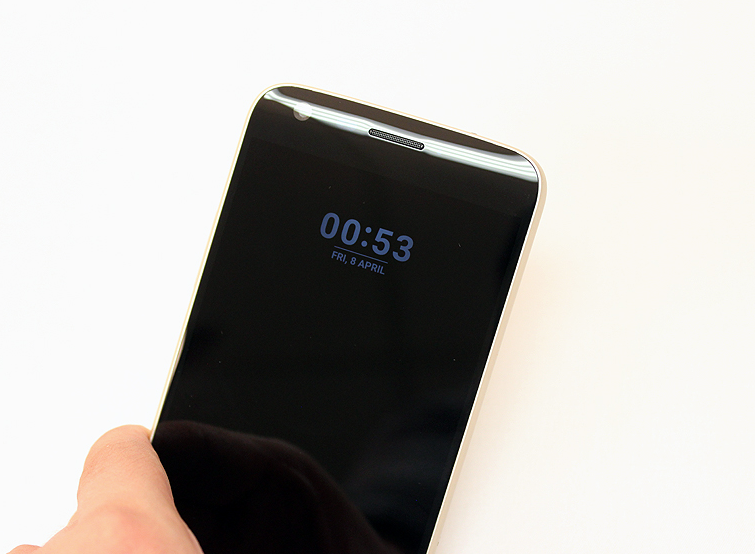 5.3-inch screen LG G5 has the function of always-on (AOD) display. Recall, AOD allows you to check the time, date, battery status, missed calls and other alerts – even when the phone is in standby mode or locked. 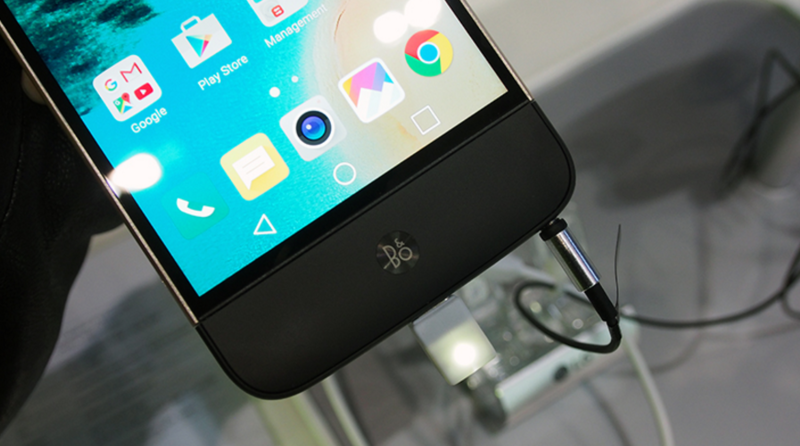 According to LG, AOD G5, uses only 0.8% of the phone’s battery capacity per hour. AOD LG’s displays notifications from various applications, unread SMS-messages. If you are expecting an email or message from another application, the phone shows the AOD pending notification dates below. Nevertheless, AOD less bright than AOD Galaxy S7. 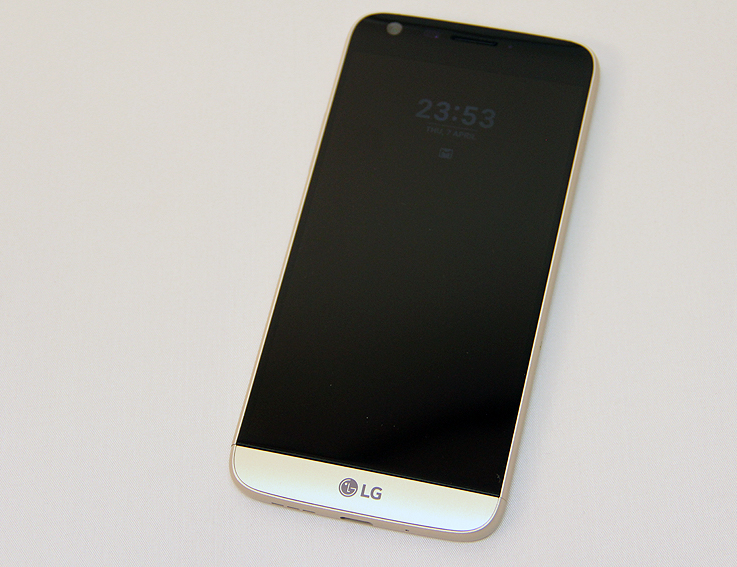 The G5 LG has a 64-bit quad-core Qualcomm Snapdragon 820. On board are four specially designed 64-bit processors Kyro – two of which are clocked at 2.15GHz, and the other two at 1.59GHz. For graphics, the GPU 530 Adreno applied, and it supports OpenGL ES 3.1 and above. first to MP-16 F / 1.8 aperture, and it has a standard 78 degree field survey. 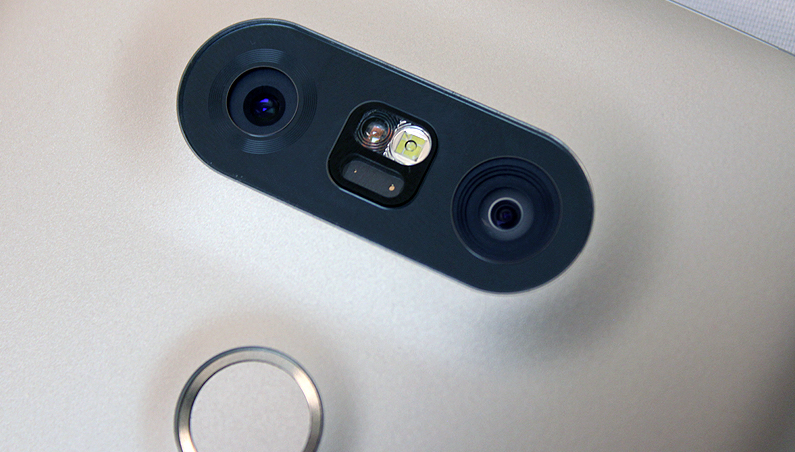 Second rear view camera with wide-angle lens 135 degrees, with a resolution of 8 megapixel F / 2.4. They are equipped with laser autofocus, triaxial OIS (Optical Image Stabilization), and LED flash. 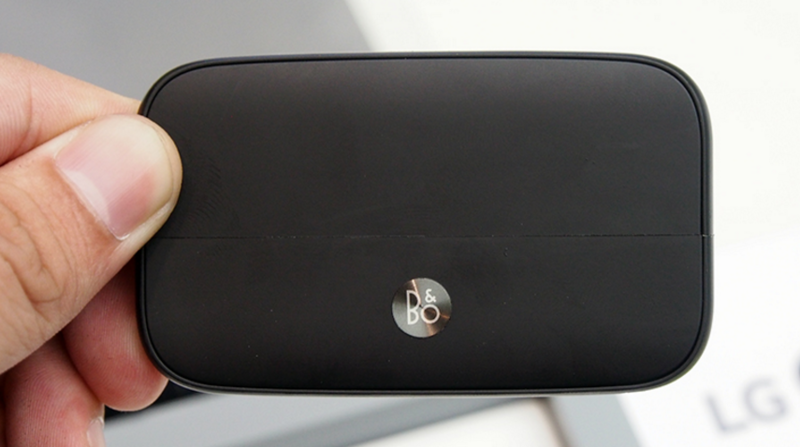 Naturally, having a built-in lens with a 135-degree view, you can take beautiful panorama. Battery Capacity 2,800mAh, the service life depends on the quality of manufacturing and sosstavlyaet standard term for lithium battery for about 3 years.